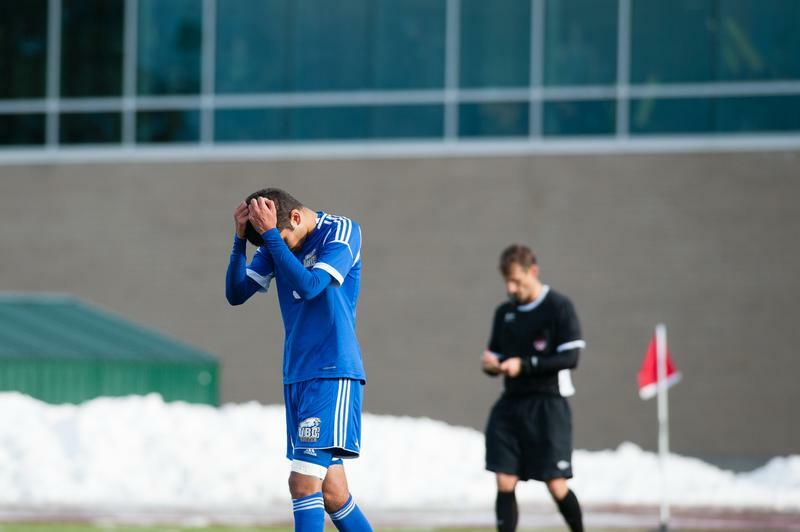 After another Canada West battle with the Thompson Rivers University (TRU) Wolfpack on Sunday morning — this time for national bronze — the UBC Thunderbirds men's soccer team head home on the losing side of the draw, leaving the championships empty-handed after an unfortuitous 3-2 loss in penalty kicks. As expected, it was a close one throughout the 90-minute game. The ‘Birds seemed the likely suspect for scoring initially, as forward Kristian Yli-Hietanen caused some trouble for the Wolfpack back line from the get-go. His first shot, a header towards the right post, would be steered away by TRU keeper Allan Connor. Another Yli-Hietanen shot in the 21st minute would breeze just outside the post. In the 23rd, the Wolfpack would finally break the stalemate. 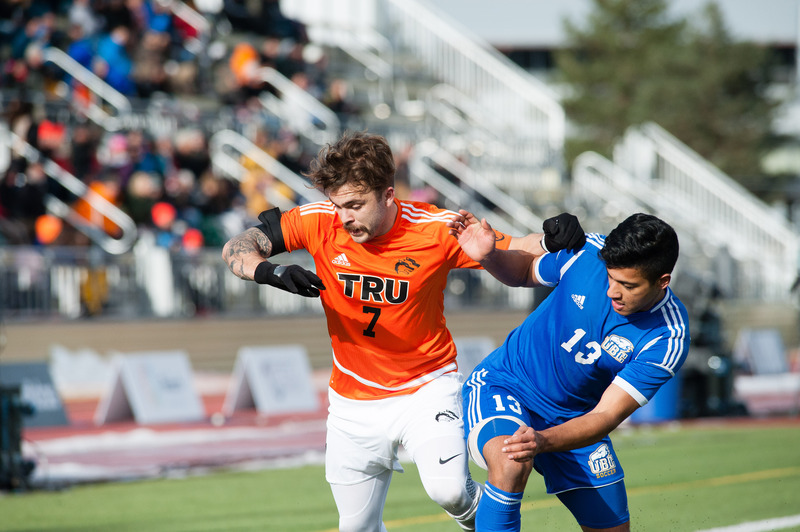 TRU striker Ryan Glanville — a UBC Thunderbirds alumni, having played with UBC from 2005 to 2007 — drove through the Thunderbirds back line on the counterattack and into the top of Chad Bush’s box. His shot would deflect through the legs of central defender Manraj Bains and bend just past Bush’s fingertips before finding the bottom right corner of the net. Even though the ’Birds seemed the more likely team to get on the scoreboard, the Wolfpack would take advantage of the counterattack and gain the upper hand while also running the clock down, taking them into the intermission with the one-goal lead. 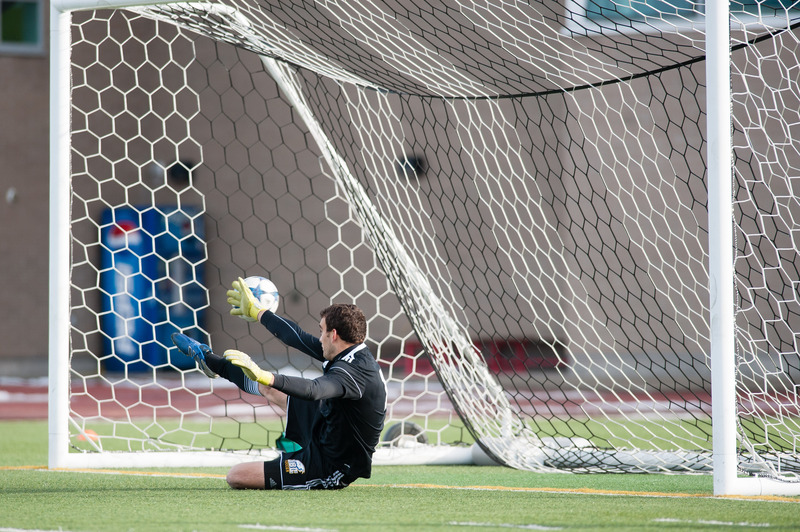 TRU would open the second half on the attack, with Glanville pressuring UBC’s defence. In the 61st minute, a breakaway from the striker would force the T-Birds to pull out all the defensive stops. Guilherme would be the first to face Glanville’s attack, stopping the initial shot at the top of the eighteen-yard box. Bush would smother the second attack on the play. Just three minutes later, the former UBC player would place a through ball to fellow UBC alum Mitch Popadynetz who was sneaking between the Thunderbirds central defenders. Popadynetz and Bush would showdown at the top of the box, with Popadynetz coming out on top and finding the back of the net. As usual, the ’Birds kept to their comeback ways, scoring two in the last 20 minutes to take them to a shoot out. The T-Birds would score their first in the 69th minute, with a penalty call going in their favour inside TRU’s box. Striker Kyle Sohi would step up to take for the ’Birds, blasting the ball into the bottom right corner of the net to narrow the Wolfpack’s lead to 2-1. In the 82nd, UBC would get just inches away from evening up the score as a free kick was bent into the box from just outside the eighteen-yard box. Rookie defender Patrick Metcalfe would get a touch on the ball, but it would go just outside the right post with Ryan Arthur lurking for the rebound off the post. The Thunderbirds’ momentum would even things up in the dying minutes of the match, again on a set piece. As has been the trend this season, a Zach Verhoven corner started the play in the 86th minute. The ball lofted over TRU’s defence and found the foot of Arthur at the back post. His low volley would find the back of the wide open net, equalizing the game and sending it to penalty kicks. Their positive end to regular time would not continue into the shootout, as UBC would miss three of its penalties while TRU would convert three of their first four to hand the home side the bronze medal. 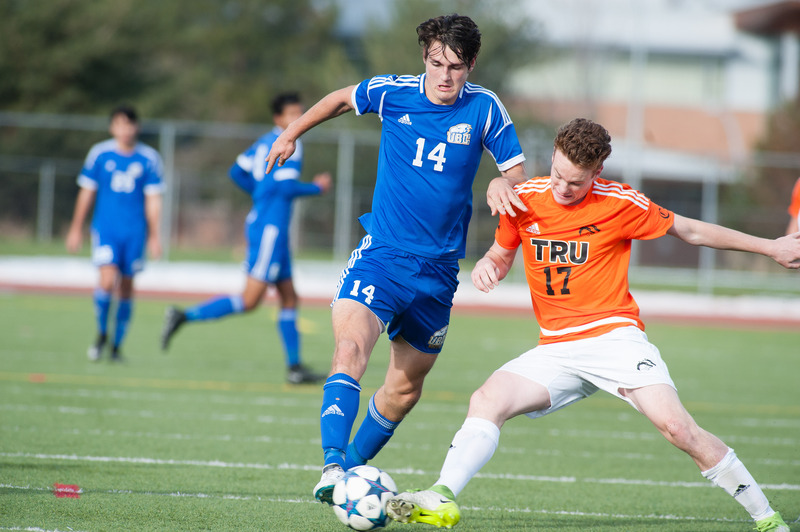 For Thompson Rivers, it’s the men’s soccer program’s first win against UBC and their first U Sports medal. With that, the ’Birds end their season with a fourth place finish at the national level and with a Canada West title under their belt. Even though they head home without any U Sports hardware, it was a strong showing for the young ’Birds side throughout the last half of the game. The captain also praised some of the team’s veteran players for their performance in the match. Though they faced a tough loss this afternoon, the ’Birds will look to bounce back next season as they are set to host the nationals tournament at Thunderbird Stadium. A young side, the T-Birds have the luxury of keeping most of the 2017/18 roster intact, and using this year’s tournament as a learning experience. For UBC head coach Mike Mosher, that will be the biggest takeaway this year.